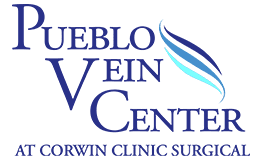 Pueblo Vein Center Blog How Do I Choose a Vein Doctor? Unsightly spider veins or bulging varicose veins often have people hiding their legs. If your varicose veins are advanced, they may bring you pain, heaviness, fatigue, itching and daily discomfort. Your choice of a vein treatment doctor could be life changing and bring you more relief than you might imagine. Dr. Gary Lane, owner and founder of the Pueblo Vein Center, the longest serving vein center in Pueblo, Colorado since 1999, is here to help. In addition to Dr. Lane’s many years of experience, we also consider each patient’s needs and goals on an individual basis. When you come to Pueblo Vein Center, we listen to you and then make a treatment plan based on your goals and many types of treatments that are available. If you are wondering what to consider when choosing a vein specialist, you may want to consider a few questions. In your search, you will discover that veins are treated by dermatologist, internists, interventional radiologist, surgeons and other specialists. How do you find the best doctor that is the right fit for you? Here are important factors to consider. Family, Friends or co-workers may be an excellent source of information when it comes to recommendations because they often have first- hand experience with someone in whom they have developed trust. Your private physician or nurse practitioner may be able to share their past patient experiences. Take time to research the doctor’s credentials and their experience. Does the doctor treat varicose veins and spider veins on a regular basis? How long have they been treating veins and how many procedures do they perform each month? Confirm the physician has no history of malpractice claims or disciplinary actions and is in good standing with state and federal agencies. A hospital affiliation means a higher level of physician credentialing. Do you feel comfortable with the clinic? Does the center have dedicated staff that is very familiar with venous disease? Does the staff have a dedicated registered vascular ultrasonographer (RVT) who specializes in venous ultrasound and diseases? Is the clinic accredited by the Intersocietal Accreditation Center (IAC) which ensures best practices in venous diagnostics and care? 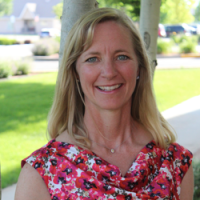 Does the clinic have additional staff such as nurse practitioner, specializing in venous disease, who can thoroughly answer questions and can guide your care and help you with pre- and post- procedure issues or questions? Lower extremity vein conditions or disorders do require a specialist. Ultrasound equipment is ever- advancing, this improves the diagnosis of venous conditions. Treatment modalities also improve over time. A long-standing high-quality vein center should offer many alternative techniques and technologies to manage venous conditions and complicated cases. In addition to thermal laser options, the facility should be well versed in treating tributary varicosities. The specialist should be highly skilled at phlebectomy and ultrasound- guided (chemical) sclerotherapy. Treatment of superficial (spider vein) sclerotherapy technology should be available. You should feel comfortable to ask the staff about the diagnostic and treatment options offered. Most often vein procedures/surgeries are typically covered under insurance. Contacting your insurance provider or the clinic about your insurance coverage is a practical matter. The type of coverage, of course, depends upon your particular plan. Compared to invasive surgical procedures in the past, today we are fortunate to have treatment options for vein disorders that are minimally invasive, and they are easily performed in the office setting. Patients do not require sedation and can walk out following their treatments return to their normal activity very soon thereafter. Your best outcomes occur when you chose your vein specialist wisely. Renee Lane (MS, RN, ANP) Renee Lane (MS, RN, ANP) and her husband, Dr. Lane, discovered their vision for offering comprehensive vein treatments in 2004. Since then, she has sought to upgrade to the newest advanced cosmetic laser technology, and to provide top of the line service to her clients by taking time to understand the goals and priorities. There are two kinds of laser vein treatments , also known as vascular laser treatments. One is cosmetic laser treatment (not covered by insurance) the other is what this blog will focus on; medical (which is usually covered by insurance).